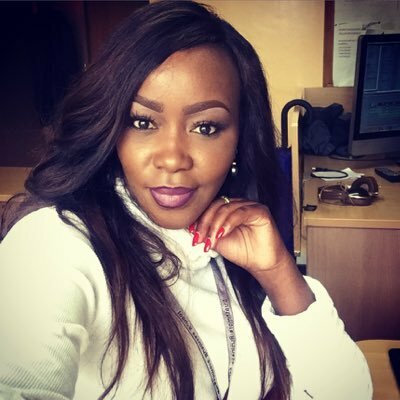 Former Citizen TV business anchor Terryanne Chebet has landed a new high ranking job. This is after she got appointed as the Metropol TV’s General Manager. This latest job adds to a string of top corporate gains that TerryAnne has been raking in. This job also comes weeks after she was named the brand ambassador of Molfix diapers, a branch of Hayat Kimya Company. 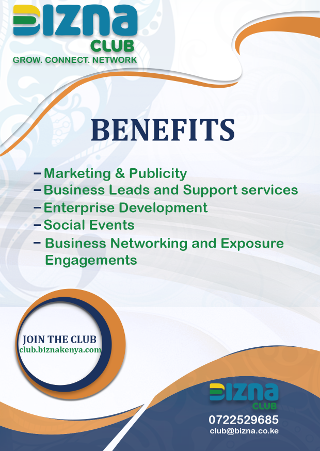 Before her appointment, Ms. Chebet was the chief executive officer of Fanaka TV. Apart from her new job, Terryanne is also the CEO of Keyara Organics, a company that deals in organic skin and hair products. The mother of two girls took to Instagram to announce the big news with a picture of her and other new appointees. 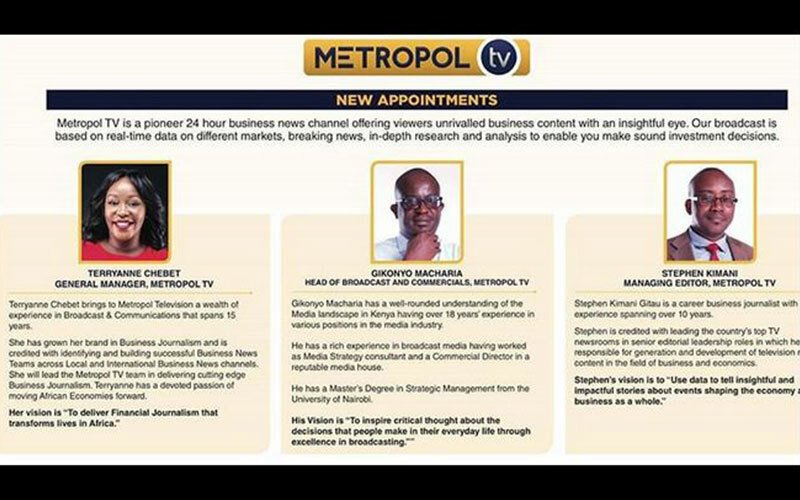 The other appointees include Gikonyo Macharia who was appointed as Head of Broadcast and Commercials and Steve Kimani who will be the Managing Editor. “Our young people need new heroes, such as Wealth creators, Entrepreneurs & people of integrity. We talk to these people daily who inspires and challenges to be better and to do better. The experts give daily tips on investments, and what you can do to make that extra buck. Metropol TV is Data-driven. Factual. Reliable and available countrywide on free to Air. I have formally left Fanaka TV in very able hands and I’m super proud to join the incredibly talented team @metropoltvke in delivering cutting edge Business Journalism.” Terryannes’s post captioned. According to Metropol TV website, the organization is a 24hour business news channel offering viewer’s unravelled business content with an insightful eye. In her career, Ms. Chebet has been celebrated as one of the finest business journalists in Kenya.